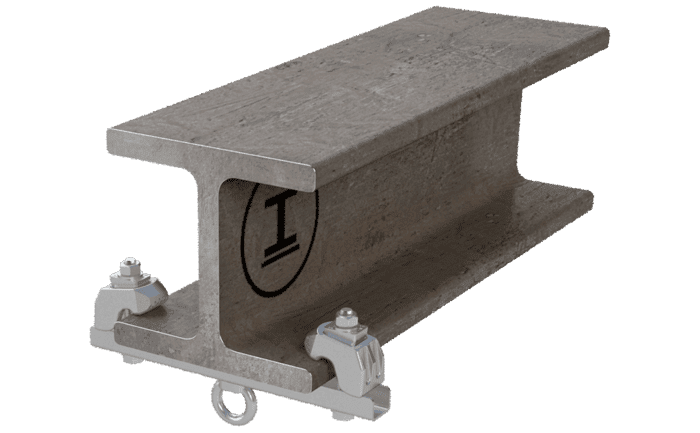 This stainless steel anchorage point - designed to protect 3 individuals from falling - is simply clamped onto the flange of a steel girder without penetrating the surface. It is suitable for all directions of load, can be installed overhead or used as an intermediate bracket in a lifeline system. 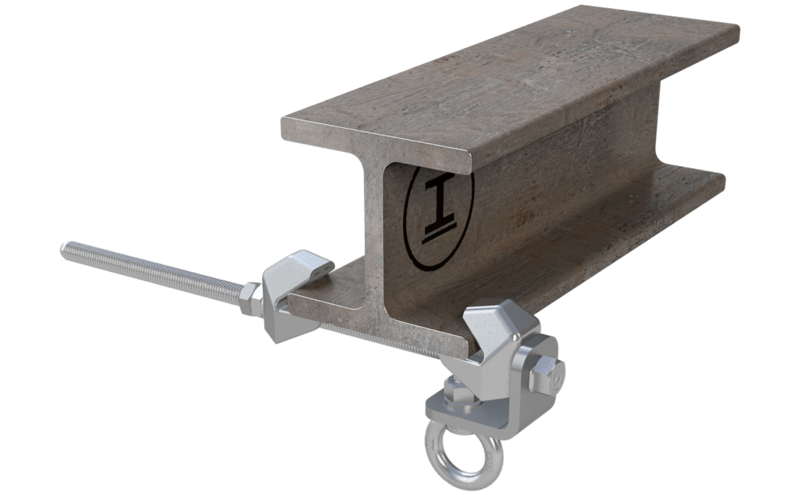 A strong hold – simply clamp this stainless steel anchorage device onto a girder! Easy to install and virtually indestructable. 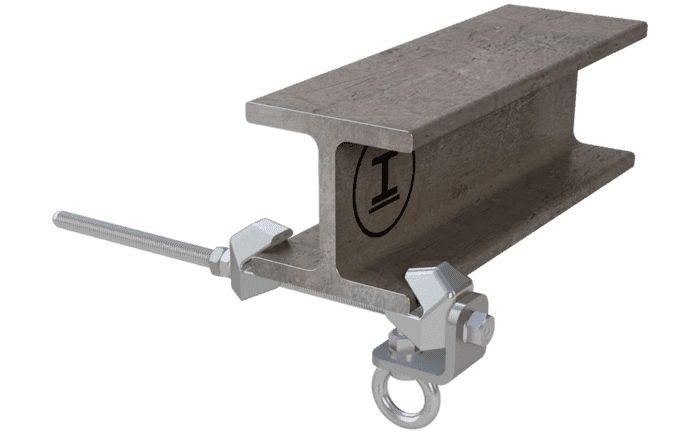 Our ABS-Lock T anchorage point is simply clamped to the flange of a girder using special girder clamps to provide a highly flexible fall protection system. Our ABS-Lock T anchor can secure up to 3 individuals, is suitable for all directions of load and can also be used as an extremely flexible system component in a lifeline system: Use it as an intermediate bracket, a corner bracket or for attaching an end termination device. As this stainless steel anchorage point is detachable, it has been tested as an anchorage device according to EN 795, type B and CEN/TS 16415:2013. Thanks to its special clamping mechanism, you do not need to alter the building structure in any way whatsoever when installing it. The anchorage device is manufactured from stainless steel specially designed to buckle under stress. 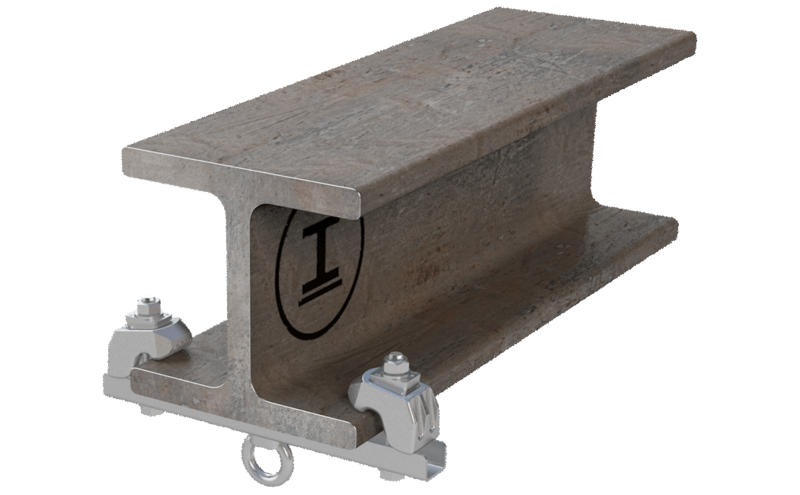 The girder clamps are made of hot galvanised steel. The device clamps can be flexibly adjusted to fit any flange width up to 320 mm (depth: 8-16 mm).